For listings on Bakeries in your local area search the Nbtrade.com.au directory. For Bakeries Murwillumbah, Bakeries Lismore, Bakeries Tweed Heads, Bakeries Kyogle, Bakeries Yamba and more local bakeries. Search foor cakes, pies, bread shops, patisserie, pastry makers, wholemeals breads, gluten free options, bread suppliers, pastries bread, cake makers and more with our local bakeries directory search Nbtrade.com.au.With trusted and reliable listings you are provided with all contact details, general information and more. 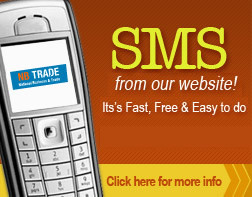 If your looking for all your flourbased needs look no further then Nbtrade.com.au bakeries directory. Providing you with bakeries that supply ranges of breads made from the traditional scratch method of baking and freshly baked goods daily, you can't go wrong! Search Bakeries Wentworth, Bakeries Toowoomba, Bakeries Southport, Bakeries Emerald and more Nationwide.Email or SMS straight from our Bakeries directory. Don’t be bombarded with misleading advertising, confusing claims and simply bad information. Nbtrade.com.au provides all the information you need. From Contact details to specialties.